Whether you’re just starting out and need to cover basic expenses, or well established and making plans for growth, good credit can help make your business dreams a reality. It’s important to realize that your “credit profile” is much more than just a numerical score or payment history. It also spans your business practices, banking relationships, past achievements, future plans, and even the way you present yourself. In short, your credit profile is everything that a potential lender sees in you and your business. Ultimately it’s something that you control. According to a recent Wells Fargo/Gallup survey, more than half (56 percent) of small business owners report borrowing money or using credit for their business in the past three years, and another 47 percent say they rely on business credit cards, loans or a line of credit from a financial institution to fund their business. If you are planning to apply for credit for your business, there are steps you can take right now to build your credit profile. Here are four strategies to get you started. You begin to build a business credit profile when you establish dedicated business checking and credit card accounts. Many people start out by paying for business needs with personal financial resources. This may be convenient at first, but it’s important to establish separate accounts and start building a credit history in the name of the business as early as possible. After you’ve separated your accounts, it’s still important to keep an eye on your personal credit profile. Most lenders will review that credit profile as well because how you handle your personal credit decisions suggests how you will handle your business credit opportunities. Investigate and clear up any issues that could hinder your chances of obtaining a loan or line of credit. Then be sure to check personal credit reports at least once a year so you can correct any errors or misrepresentations immediately. Once your business accounts are established, use them strategically to foster your banker’s understanding of, and confidence in, your venture. If you have several accounts with different financial institutions, consider consolidating them to raise your profile as a customer. A solid banking history can boost your overall creditworthiness because sustained cash flow provides clear evidence of your ability to repay a loan. Try to demonstrate a consistent flow of funds over time, creating a record that shows long-term stability. Whether it’s maintaining account balances, paying off cards at the end of each month, or making regular payments on a credit line, each aspect of your payment history has the power to strengthen your credit profile. Because potential lenders are sure to review your personal and business credit reports, you should do so as well. Here’s a brief overview of what you’ll find. Credit reports aggregate information from many sources, including banks and companies you do business with. Federal law governs who can access your personal report — and requires the reporting agencies to let you review it yourself. Your credit report includes your payment history for any credit financing, public information about bankruptcies or tax liens, and inquiries made for access to your record. Credit scores use information from data in your credit records to generate a single number. The key elements that go into it are payment history, outstanding debt, and how long your credit has been established. Take advantage of free online resources. You can access tips, guidance and resources that will help prepare you for the credit application process, whether you are applying for new business credit or re-applying after being declined. Also available are a number of tools designed to help you manage and build your existing credit profile. 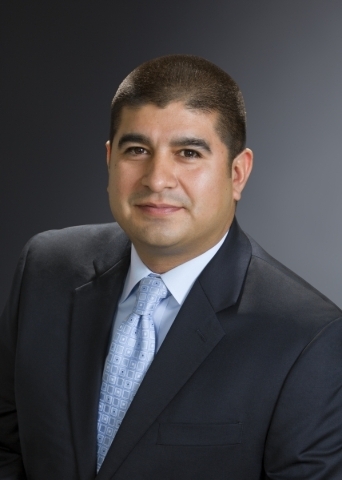 Lester Romero is the small business banking manager for Wells Fargo in Southern Nevada.